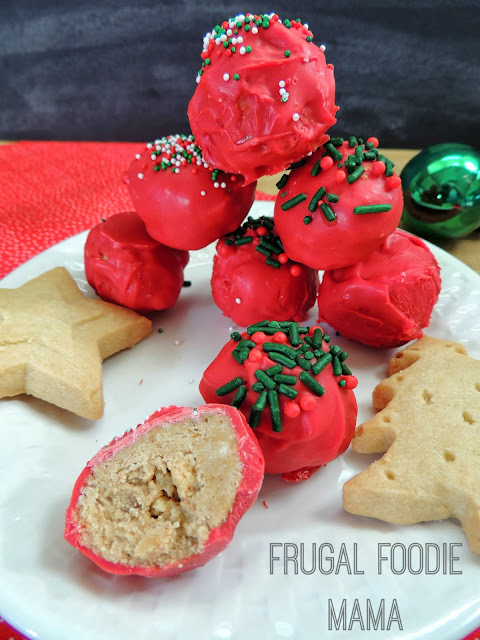 What is the Great Food Blogger Cookie Swap? 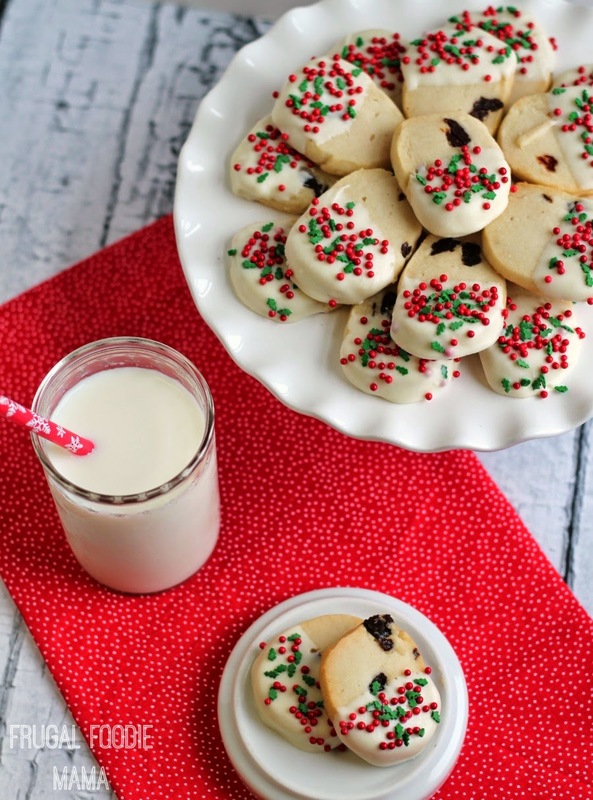 To participate, each food blogger donates just $4 to Cookies for Kids' Cancer. Then you receive the addresses of 3 other food bloggers that you will bake cookies for and send off at least a dozen to each. 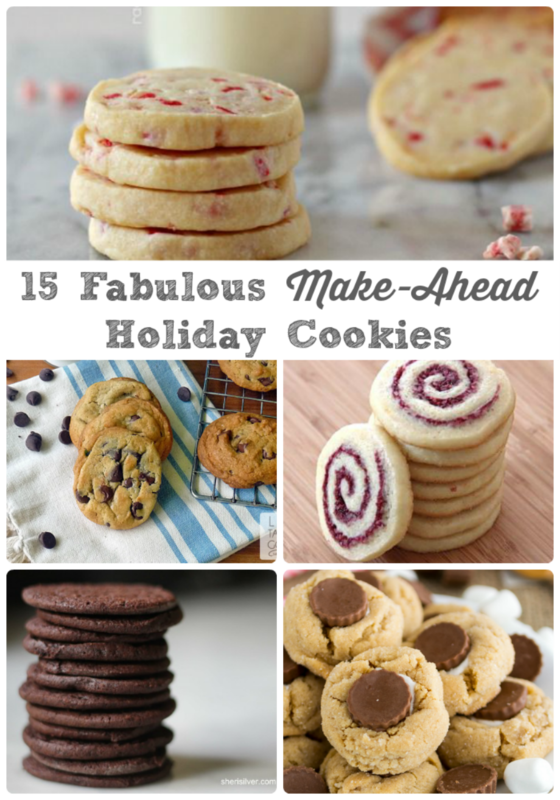 In return, you will get 3 different dozens of homemade cookies from 3 other food bloggers. Helping a great cause and getting to try cookies from other food bloggers? That is a win-win in my book, folks. ;) And this year's cookie swap raised over $12,000 for Cookies for Kid's Cancer! If you follow me on Instagram, you already got a peek at the delicious cookies that came my way during this year's swap. This was my first time ever baking shortbread cookies, and I couldn't believe how easy they were! Now, I do wish that I had known that little paper towel roll tip from Shugary Sweets that I shared with you all up there in the recipe before I rolled my dough for these. My cookies would have been a little more perfectly round had I known that before rolling and freezing my shortbread dough. One thing that I really love about these shortbread cookies is that you can freeze the dough logs until you need them. In fact, I have one last roll of this cookie dough chilling in my freezer that I am planning on baking fresh for Christmas Eve. Just roll the dough in waxed paper or parchment paper, wrapped tightly with plastic wrap, and then store in a freezer safe container. Make sure you let the dough come to room temperature for at least 45 minutes before slicing for baking. In a large mixing bowl, cream together the butter, powdered sugar, vanilla and almond extracts, and salt until smooth and creamy. Add in the flour a little at a time and mix on low until combined. Add in the dried cherries and continue to mix on low for another minute or so until the cherries are incorporated evenly into the dough. Using wax or parchment paper, form the dough into four 12-14 inch logs. 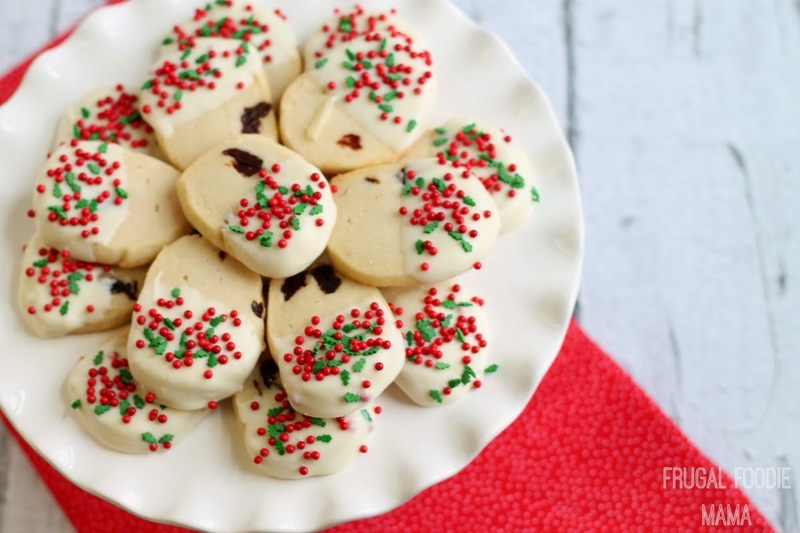 To get perfectly round slice & bake cookies, use a paper towel roll to shape them. 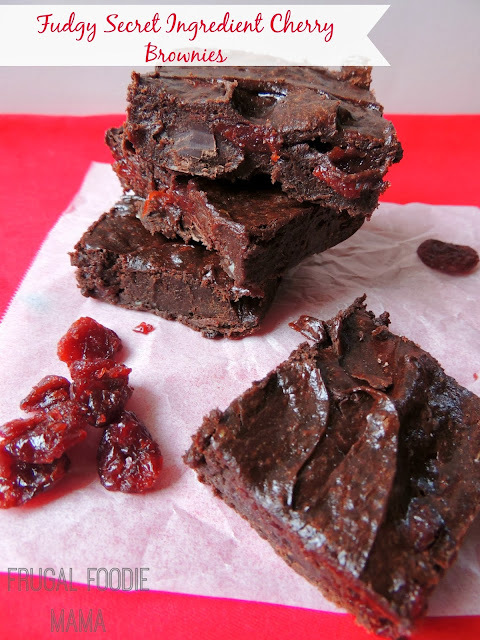 To see how to do this, see THIS POST from my friend Aimee of Shugary Sweets. Freeze at least 30 minutes or until the dough logs are firm. When you are ready to bake your cookies, preheat your oven to 350 degrees. Line baking sheets with a silicone baking mat or parchment paper. Slice the dough logs into slices about 1/4 inch thick. Place on your prepared baking sheets at least 1 1/2 inches apart, and bake for 13-15 minutes. The cookies will have slightly golden edges when done. Allow to cool on the baking sheet for a minute or two, and then transfer to a wire rack to cool completely. 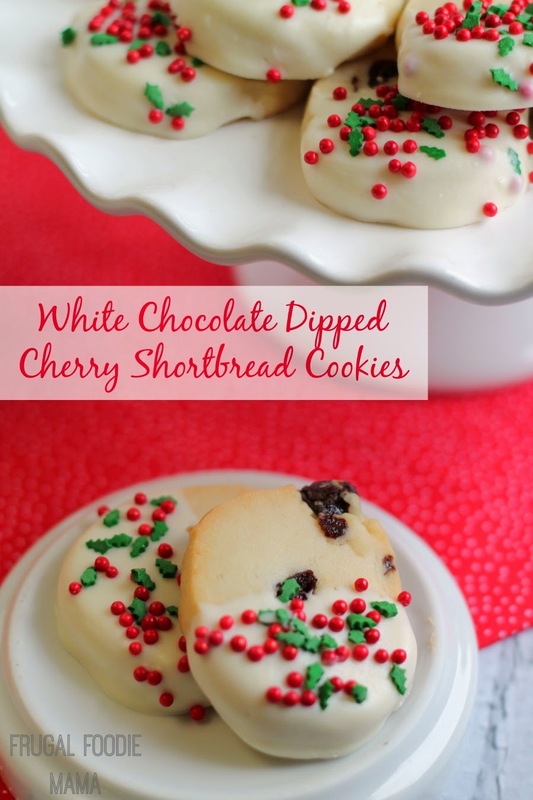 The cookies are delicious this way, but for a more festive treat you can dip them halfway in white chocolate and then quickly sprinkle with some holiday festive sprinkles. 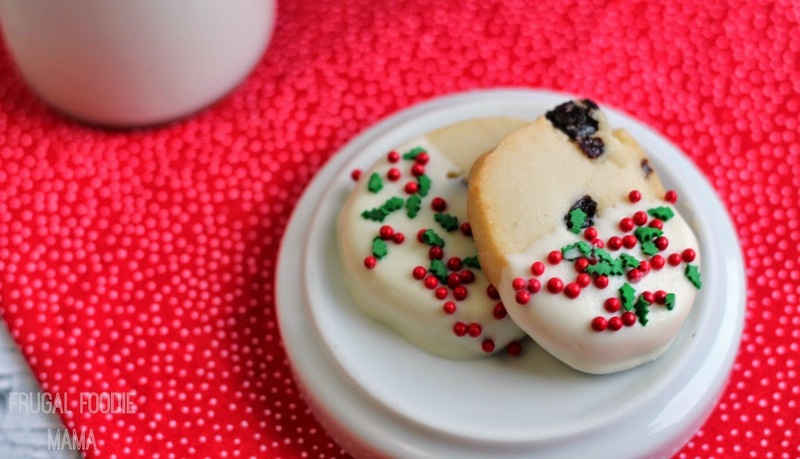 Store cookies in an airtight container at room temperature for up to 7 days. **Note- When wrapped tightly and stored in a freezer safe container, this shortbread dough can keep in the freezer for 4-6 weeks. And be sure to check out the Pumpkin Spice Sugar Cookies I received from The Foodette, the Grinch Cookies from Clutter Cafe, and the Cardamom Shortbread from Food, Pleasure, and Health.